Copyrights Can I be sued? Cakes and copyrights: It’s a hot topic in the cake community, and the subject of today’s “Ask the CakeLady” column. Today’s Question: What’s the deal with copyright infringement regarding Disney, Nickelodeon, etc.? I’m just a small home baker and it will kill my business if I can’t make fondant figures. The CakeLady: It’s like a caking urban legend — the tale of the little home baker being served a cease and desist order or being sued for making Elsa from Frozen. Does it really happen? Can it happen? We’re all a bit confused about the truth behind copyright infringement and the use of trademarked characters and brand logos. What is OK? What can we safely do? What are the legal issues surrounding using these images and likenesses? (See? So many questions!) This debate is HOT right now in the caking community and there's a lot of misinformation out there. Can you legally use a design (image, character, logo, etc.) in your cakes that someone else created?” No. Not legally. I know. That was some tough love right there. But I would be leading you astray if I told you to keep making Elsa cakes in a cloud of powdered sugar bliss. The cold, hard fact is that the creators of these works are protected in a number of ways by the law, and that protection includes derivative works — cakes that have one or two details tweaked so as not be exact replicas. Still an infringement. There are many court cases documenting infringements, and in ways subtler than cake and cookie creation. “But!" you cry. "Cinderella was created way before Disney ever got their money-grubbing hands on her, so she’s still fair game, right?” Let’s be honest: Are you going to make a replica of Charles Perrault’s 1697 Cinderella, or Disney’s? Exactly. You and the 647,992 other cake decorators around the world are going to recreate Disney’s iconic interpretation of the tale (leaving 4 cakers paying tribute to Perrault’s Cendrillon, and kudos to them.) Here again the answer is “No. It’s not legal.” “But lots of other decorators do it and they're fine," you argue. "Why should I worry?” If your friends jumped off a bridge would you jump, too? It’s really that simple. Just because they haven’t been caught and served cease and desist orders or, worse, hit with a lawsuit, doesn’t make it any more legal for your business. “Well, what if I make a basic cake and add little plastic figures from the toy store to the top?” you ask. Alright. Now you’re getting clever. But it’s still a gray area. According to some copyright and trademark lawyers, the rights of the creator end when a purchase is made of licensed products, like figurines. How they are used after purchase is no longer under control of the creator. Let me insert a big "but" right here. It is still not a good idea to purchase a bunch of toys to slap on top of cakes and advertise that you do so for profit. It’s the profit thing that most companies/designers/creators are concerned with. Let’s jump into reality for a moment. Is it likely that Disney is going to go after every cake maker that makes a Belle, Nemo, or Elsa cake? No. Just know that they have the right to do so and can exercise that right when they see fit. Odd as it may seem, they have to actively defend their designs to maintain their rights. Going after little cakers is within their ability and it’s something big companies have done, and will continue to do. I can’t tell you how to run your cakey world. We all have to make decisions for ourselves. If you’re OK with making character cakes without license and accepting the risks involved, go for it. If you’re pouting and kicking the toe of your sneaker against the flour bin, and begrudgingly throwing up your white flag to the big guys, good for you. It’s your decision. You have the facts. Now you know the risks. Selling Cakes With Copyrighted Characters and Selling Copyrighted Character Cakes - Should you do it? from cakeboss.com. And the final word, at least in the United States, The US Copyright Office. 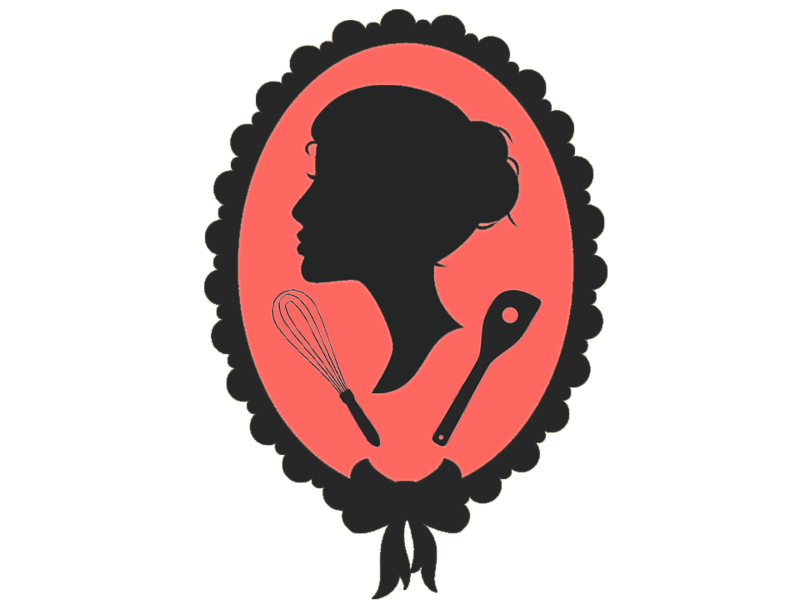 You can follow Ask the CakeLady in our newsletter and on the CakeMade.com blog. Got a question for her? Post it in the comment section of our blog. Thanks for posting, Gali. I did not find this one, but I read the same thing on other sites. I am still confused as to the need for individuals (like us) to copyright original cake designs. I am going to look further. Katy, I believe Gali is talking about the need for us to have our original cake designs (she is specifically talking about the Scarlet Macaw Cake I am entering in the fair) copyrighted to prevent other people from using them. In the case of the Scarlet Macaw Cake, I cannot imagine anyone wanting to put in that many man hours. I can only afford to do it because it is my hobby, not my livelihood. yes your right Sandra ! it is 1 of a kind ! don't be surprised how many would try to copy this !even if it takes a month, to make it ! -------------> CUSTOM QR CODE STENCILS! Today the Evil Cake Genius is going to get Evil using good old fashioned royal icing and good new fashioned technology. How would you like to scan a cake, cupcake, cookie, or cake pop with your smartphone and head to a website, then eat what you just scanned? If you answered "no", you're lame. Everybody else....read on! 3) We create a custom QR code for you. 4) We make your custom stencil and send it to you. 5) You look like an Evil High Tech Sugar Genius. 4) Promoting your own business (be the most Techno Evil bakery at the trade show/bridal fair/etc. 5) Use your imagination. We can't wait to see your Evil ideas! Weighing in here. Legally you aren't allowed to use any copyrighted image on your cake. Disney, Nickelodeon, etc., believe it or not, actually have people trolling cake sites looking for infringements. 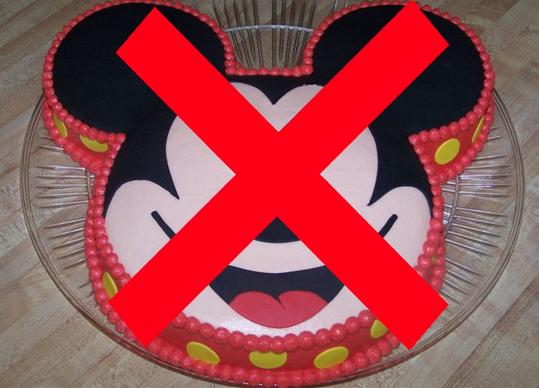 There was a decorator at my cake club that got a cease and desist order from Disney legal. An acquaintance I know on FB got slapped from Disney for selling Disney figures she makes and sold on her Etsy site. Funny you can use any of these licensed creations on your cake as long as there's NO exchange of money of any kind. You give it away. So Katy...not even to "cover your costs". But there other round about ways of getting "paid". If you rent a licensed character pan...the store has paid for the rights. As long as your making for your own consumption or to give away, no problem, you sell it...you've broken the law. This whole thing is a crap shoot...like the lottery....you could make 100 character cakes...everything is fine...then your 101st cake..bingo....they catch you. So it's very random. That's why so many ignore, cause there under the radar. All of the Pro decorators in my cake club refuse to make these cakes. Afraid if they get caught they will lose there business license. painted on classroom walls. They had to paint over them. It sort of backfired on them though because another company saved the day and allowed them to use theirs (pixxar maybe) and had a huge unveiling on the news. I beleive it took place in the Orlando area. You are correct that you cant benifit or profit in any way, which includes having a client just pay for ingredients. You can do them for free, for family and such, but never post them on your business site because in a roundabout way, by using it for advertisement, can increase profits. RClients also don't understand that even by altering the character a bit does not exempt you from the rule. If it is still recognizable as the likeness, it is still off limits. Basically, it is the decorators job to show them different alternatives and designs that will still compliment the theme. If your client is still adament because "so and so just had an Elsa cake and didnt get in trouble" then they don't value your work or business and are not your target clientele anyhow. Sorry for the long post!! This is actually my first post on these forums, but have enjoyed reading them for quite a while!